Today, the best way to ensure your entry to Machu Picchu is by booking online. Doing it is easy: you just have to fill out a reservation form and pay with Visa, MasterCard or American Express. Do not have a credit or debit card? Learn how to buy the ticket without a card. Which payment method to choose? Cash or credit card on the trip to Machu Picchu? The Machu Picchu ticket is purchased in Cusco or online. The first is the most recommended because it can be done in advance and ensures availability. Check the availability of the Machu Picchu entrance in the month, day and time of your preference. Complete the booking form with your personal information. Send a digital copy of your passport or identity document by e-mail. Make the payment through PayPal (accepts Visa, MasterCard and American Express credit cards). Print the entries that will be sent to your email. On the day of your visit, present them at the entrance door and that’s it! The official ticket sales site to Machu Picchu is that of the Ministry of Culture of Peru. Although you can also do it on other authorized websites. There are several payment methods that do not use credit or debit cards PayPal is currently the easiest and most recommended method. This form of payment also accepts money transfers without the use of cards. Western Union – This payment method is one of the most widespread around the world. It has thousands of agencies in almost every country. 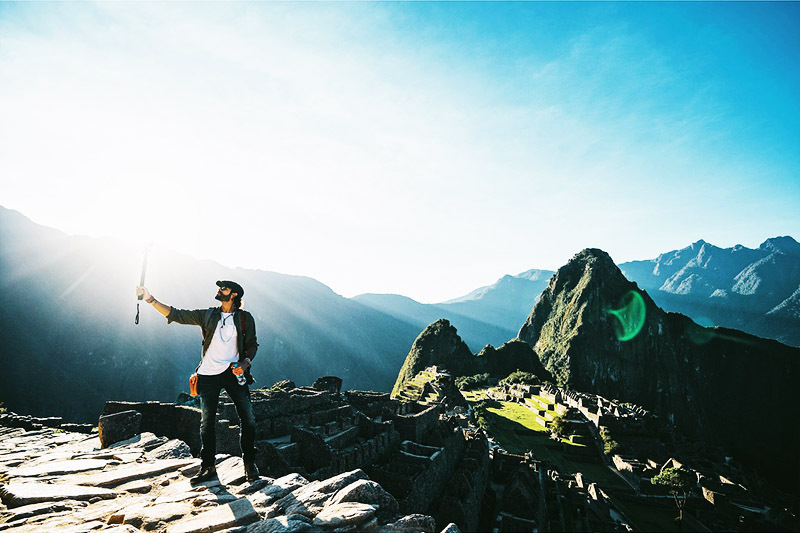 Bank transfer – From anywhere in the world you can make your payment by approaching the bank of your preference and make a bank transfer to the International Bank of Peru (Interbank) for the price of the ticket Machu Picchu. PayPal offers the possibility to pay without using an associated credit or debit card. For this you simply must have balance in your PayPal ‘purse’. One option is to add money from a bank account. The money you add to the ‘PayPal wallet’ can be used to make purchases online. The other alternative is to add credit through a card purchased at authorized stores. This last service is available in some countries. If the PayPal account has sufficient balance, you can reserve the entrance Machu Picchu online and without using any credit or debit card. After reserving your Machu Picchu entrance, you will receive a PayPal payment invoice in your email. Use your ‘PayPal wallet’, accept the transaction and you will receive the tickets as soon as possible. With Western Union you can make the payment from any of the 500 thousand agents that exist around the world. You should only approach the Western Union agent closest to your location. Complete the money transfer form with the Machu Picchu ticket information. After verifying the accuracy of the data, make the payment of the entry in US dollars. Once the payment is made, they will give you a voucher. With the voucher code you can track the transfer of money through the internet. Western Union charges a commission that is not included in the price of the ticket Machu Picchu. Once the payment is received, your tickets will be sent to you. The bank transfer is one of the most traditional methods of payment. You only have to make a deposit of money for the concept of the price of the entrance to Machu Picchu. The shipment is to the International Bank of Peru (Interbank). To buy the Machu Picchu entrance on this website through a bank transfer you must complete a form with the information of the ticket Machu Picchu. Find out about the commission your bank charges for sending money abroad. PayPal is recommended as the first payment option due to the low commission costs per shipment. Try to find the bank with the lowest commission by bank transfer. Pay the entrance to Machu Picchu by booking online is the best option because it ensures the entry to the Wonder of the World. However, it is also possible to pay in cash once in the city of Cusco. Pachacutec Avenue s / n, Aguas Calientes. Once in the authorized place to buy the ticket you only have to present your passport, identity card or university card to buy the entrance to Machu Picchu. Payment is in cash or by credit / debit card.. Unfortunately, it is not possible to find availability for the Huayna Picchu ticket buying days before in the city of Cusco. The purchase for that ticket is online and months in advance. PayPal is the most recommended payment method to buy the entrance to Machu Picchu. This service is fast, easy and charges a low commission cost. This form of payment can be made without a credit card simply by adding a balance to your account. Unlike Western Union and a bank transfer, the money transferred reaches the recipient in a matter of hours. Many of the main services in Cusco and Machu Picchu accept credit or debit cards. However, they charge a commission for each purchase (up to 5% commission). It is advisable to take cash with you during the visit. In most sales outlets and tourist agencies, they accept US dollars as currency. How long does it take to get the tickets after making the payment? Once the transfer was made to the receiver, Machu Picchu tickets take 24 hours to reach the payer’s email. If the payment was made on a weekend, the tickets take 24 hours. Is the transfer fee included in the price of the ticket? No. The commission charged by the entities that make the transfer of money are not included in the price of the ticket Machu Picchu. Do I need to have a ‘Verified by Visa card to pay for the Machu Picchu ticket? The official website for ticket sales to Machu Picchu is that of the Ministry of Culture of Peru. Unfortunately, the only way to pay through this means is with a ‘Verified by Visa’ card. On this website, we accept any type of credit or debit card (Visa, MasterCard, American Express) as well as Western Union and bank transfers. Can I pay train tickets to Machu Picchu without a credit card? No. Payment methods only accept Visa, MasterCard, American Express, etc. The companies that offer this service are Peru Rail and Inca Rail. How much time do I have to pay the ticket Machu Picchu? After making the reservation, you have some hours to make the payment. It is recommended to do it as soon as possible. If you do not, another client can take the requested ticket. Is it safe to pay the ticket online? Not all online sites are safe. Before acquiring the entrance Machu Picchu, verify that it has security systems online. Also check that the site is authorized by the Ministry of Culture of Peru.